Acting career coaching - Raqs Without Borders 2019: MENA dance festival in NYC: 08/24/19-8/25/19. Registration is now open! 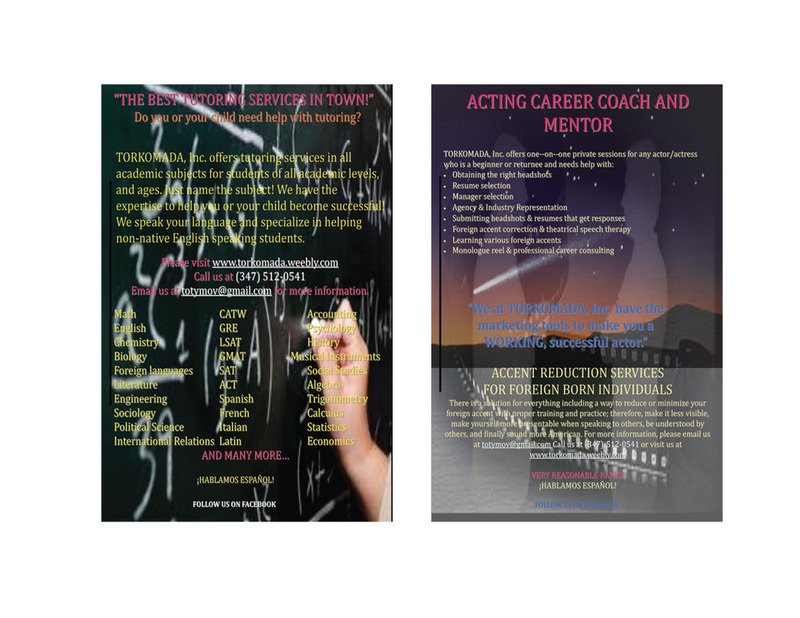 In addition to providing one-on-one private coaching sessions, TORKOMADA, Inc. offers on-line acting career coaching sessions over Skype to those who live out of state. In order to book a Skype on-line session, the student must prepay via Paypal (scroll down to the bottom of the page and click on the Buy Now button). Note: PayPal charges an extra fee. To set up a consultation, please email or call us at 347-512-0541. Once the student has registered for the on-line class, there are no cancelations or refunds. NO EXCEPTIONS! "We have the marketing tools to make you a WORKING, successful actor!"